CSC members are invited to our year-end Membership Meeting and Holiday Party on Wednesday, Dec. 14th, 6:30 pm at 59-61 East 4th St. in the 4th floor loft. 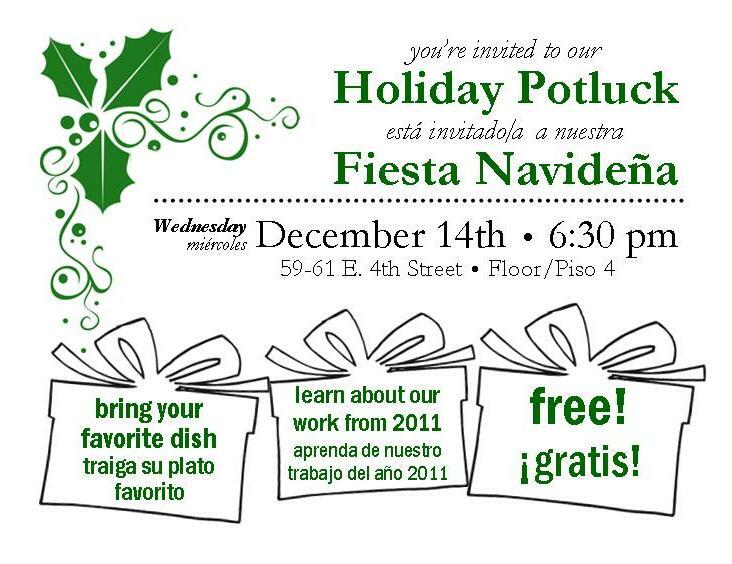 There will be brief reports about our current work and community victories in 2011, and a free pot luck dinner. If you’re not a member, you can join by coming to our office at 61 East 4th St. and paying $1. Additional contributions are welcome.